Starting the chapter off with something…. weird. Hm. Quick news: I’m gonna be making some character Q&A/Trivia bonuses in the next few weeks, and I’m taking questions/suggestions! If you want to ask any of the characters something, leave a comment down below! Also, new vote incentive! I’ve been playing the new Pokemon games a lot recently, so I put together Pokemon teams for the main trio! Vote to check them out! Time for another round of Comic of the Week! 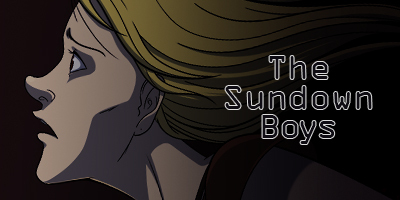 The Sundown Boys – Nineteen-year-old Adrienne, heir apparent to the expansive DeSaule Organization, finds herself targeted by her adoptive father’s only biological child, Edmund DeSaule. No longer safe in the only home she has, Adrienne flees the DeSaule Space Station in search of help. Brothers Leon, Robert, and Geoffrey Heron are the only people in the galaxy that Adrienne knows she can trust. Unbeknownst to them, Adrienne is hurling through space in their direction, and she’s about to ask them for one hell of a favor. This one just finished its first chapter, so now is a great time to jump in! 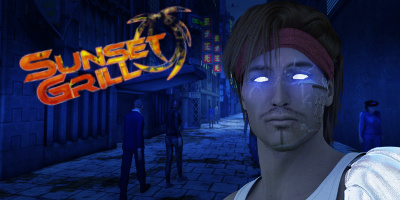 Sunset Grill – The year is 2426. Earth is a patchwork quilt of restive, squabbling Domains, loosely joined under the mantle of the Empire, whose primary goal is to present a united front to the dozens of technologically advanced, land-hungry, and not particularly moral alien races. The Empire controls the Sol weftgate, humanity’s connection to the galaxy at large: through it goes a steady stream of cheap labor, gone to build, clean, or kill for the wealthier races, and through it comes the money and alien technology that fuels much of Earth’s economy.